Splenic injuries after an endoscopic retrograde cholangiopancreatography are a rare but lethal complication. We describe a subcapsular splenic hematoma requiring emergent splenectomy after an endoscopic retrograde cholangiopancreatography in a liver transplant recipient. Endoscopic retrograde cholangiopancreatography (ERCP) is a routine diagnostic and therapeutic procedure performed after orthotopic liver transplant. Endoscopic retrograde cholangiopancreatography is a complex and technically demanding procedure that has the highest rate of complications among all endoscopic procedures.1 Splenic injuries after ERCP are a rare but lethal complication. We describe a subcapsular splenic hematoma requiring emergent splenectomy after an ERCP in a liver transplant recipient. 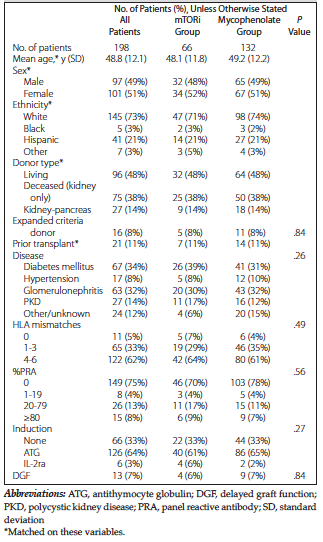 A 41-year-old woman with history of end-stage liver disease (Model End-Stage Liver Disease, score 40) secondary to chronic hepatitis C underwent an uneventful orthotopic liver transplant. The patient had a prolonged length of hospital stay mostly because of significant deconditioning. On post­operative day 45, she underwent an ERCP because of an elevation of total bilirubin (up to 5 mg/dL) and alkaline phosphatase (up to 458 U/L). She was found to have a moderate anastomotic stricture for which a 10-Fr plastic stent was placed and papillotomy was performed. The procedure was uneventful except for some episodes of hypotension in the high 90s thought to be secondary to oversedation. In the recovery room, she remained mildly hypotensive (systolic blood pressure ~100) and tachycardic (heart rate ~110). Her hematocrit was checked and was 23% from a previous concentration of 25%. While in the recovery room, she also had a moderate size bilious emesis for which bleeding from the papillotomy site was ruled out. For closer monitoring she was admitted to the intensive care unit. Eight hours after the procedure, she became hypotensive again with a systolic pressure in the 80s and tachycardic in the 120s. A significant drop in hematocrit was 11%. The physical examination was unremarkable except for tenderness in the epigastrium and left-upper quadrant. The patient was intubated and massive transfusion protocol was initiated. Her platelets count was 82k and the international normalized ratio was 1.6. She responded well to resuscitation and a computed tomography (CT) scan of the abdomen and pelvis was performed, which showed a large subcapsular splenic hematoma (18 × 6 cm) with significant amount of ascites but no hemoperitoneum (Figure 1). Of note, the patient had a CT scan 48 hours earlier to assess the new onset of abdominal discomfort. This scan was unremarkable except for the ascites. Because of the stability of the patient after appropriate resuscitation along with the difficulty for abdominal re-exploration secondary to the potential amount of adhesions, we decided to take the patient first to interventional radiology for embolization of the splenic artery with Gelfoam (Baxter Healthcare Corporation, Hayward, CA 94545, USA) (no metallic coils) and this procedure was followed by an abdominal exploration. At the time of the operation, significant amount of serosanguineous ascites was identified and a big subcapsular hematoma was found on the dome of the spleen. The stomach was compressed between the large spleen and the left lobe of the liver. An uneventful splenectomy was performed, and the patient recovered with no further complications. At the time of exploration, all appropriate vaccines were applied to cover for encapsulated bacteria. Endoscopic retrograde cholangiopancreatography has become a primary tool for treating biliary and pancreatic ductal diseases. It is essential for the endoscopist performing the ERCP to have a thorough understanding of the potential adverse events. Health care providers are familiar with the common adverse events such as post-ERCP pancreatitis, cholangitis, postsphincterotomy bleeding, or perforation.1 As ERCP has become more widely used, complications have been reported. Splenic injury after a colonoscopy has been described in the literature, but splenic injury after ERCP is rare. The first case of post-ERCP splenic injury was reported in 1988,2 and since then, 11 cases of ERCP-related splenic injury have been reported.3-13 This is the first case of ERCP-related splenic injury reported postorthotopic liver transplant. The intraoperative findings are varied, with cases of splenic laceration or rupture,2,4-7,11-13 and avulsion of the splenic vessels,8 splenic capsule avulsion as a result of intraabdominal adhesions and adherence of the splenic capsule to the anterior abdominal wall,9 splenic injury complicated by a subcapsular splenic abscess,10 and avulsion of the short gastric vessels.3 Whether these different findings can be attributed to different or similar mechanisms remain unclear. Diagnosis requires a high index of suspicion. Splenic injury after an ERCP, although rare, should be considered if sudden abdominal pain, hypotension, or a drop in hematocrit concentration occurs after the procedure, even when symptoms begin days after the ERCP. Delayed diagnosis is a common feature in the post-ERCP patients with splenic injuries, mostly because of a lack of awareness of this complication. A CT scan is the initial test of choice. Conservative management is possible if the patient is monitored in the intensive care unit, with normal hemodynamics parameters and serial hematocrits as in the trauma setting.6,10 The reasons for performing a laparotomy are the same as for splenic rupture secondary to nonendoscopic reasons. Angiographic embolization is currently considered a part of the nonoperative management armamentarium.14 Splenic artery embo-lization is indicated in hemodynamically stable patients or easy to stabilize.15 In such cases, splenic artery embolization has been used as a bridge therapy for splenectomy. After appropriate resuscitation, the patient was hemodynamically normal. This com-plication happened on postoperative day 45 and in anticipation of a difficult re-exploration, we decided to have inflow control of spleen by doing a splenic artery embolization with absorbable material. The use of Gelfoam facilitated intraoperative control of the splenic hilum. This report describes a splenic subcapsular hematoma after an ERCP in a liver transplant recipient. Because bile duct problems represent one of the most common complications after a liver transplant, there has been a (sometimes indiscriminate) significant increased use of ERCP for diagnostic and therapeutic purposes. A splenic injury is rare after an ERCP in which high index of suspicious is paramount. Timely recognition of serious complications in this particular patient population will be associated with lethal consequences. ASGE Standards of Practice Committee, and Anderson MA, Fisher L, Jain R, et al. Complications of ERCP. Gastrointest Endosc. 2012;75(3):467-473. Trondsen E, Rosseland AR, Moer A, Solheim K. Rupture of the spleen following endoscopic retrograde cholangiopancreatography (ERCP). Case report. Acta Chir Scand. 1989;155(1):75-76. Zyromski NJ, Camp CM. Splenic injury: a rare complication of endoscopic retrograde cholangiopancreatography. Am Surg. 2004;70(8):737-739. Cho CL, Yuen KK, Yuen CH, Chong LC, Chu RW. Splenic laceration after endoscopic retrograde cholangiopancreatography. Hong Kong Med J. 2008;14(2):145-147. Ong E, Böhmler U, Wurbs D. Splenic injury as a complication of endoscopy: two case reports and a literature review. Endoscopy. 1991;23(5):302-304. Lo AY, Washington M, Fischer MG. Splenic trauma following endoscopic retrograde cholangiopancreatography (ERCP). Surg Endosc. 1994;8(6):692-693. Badaoui R, Ouendo M, Delcenserie R, El Kettani C, Radji M, Ossart M. Injury to the liver and spleen after diagnostic ERCP. Can J Anaesth. 2002;49(7):756-757. Lewis FW, Moloo N, Stiegmann GV, Goff JS. Splenic injury complicating therapeutic upper gastrointestinal endoscopy and ERCP. Gastrointest Endosc. 1991;37(6):632-633. Wu WC, Katon RM. Injury to the liver and spleen after diagnostic ERCP. Gastrointest Endosc. 1993;39(6):824-827. Furman G, Morgenstern L. Splenic injury and abscess complicating endoscopic retrograde cholangiopancreatography. Surg Endosc. 1993;7(4):343-344. Kingsley DD, Schermer CR, Jamal MM. Rare complications of endoscopic retrograde cholangiopancreatography: two case reports. JSLS. 2001;5(2):171-173. Grammatopoulos A, Moschou M, Rigopoulou E, Katsoras G. Splenic injury complicating ERCP. Ann Gastroenterol. 2014;27(2):177-178. Paredes AH, Williams AM, Vertrees AE, Womeldorph C. Splenic laceration following ERCP. Endoscopy. 2013;45(suppl 2) UCTN:E221- E222. Wei B, Hemmila MR, Arbabi S, Taheri PA, Wahl WL. Angioembolization reduces operative intervention for blunt splenic injury. J Trauma. 2008;64(6):1472-1477. Pryor JP, Braslow B, Reilly PM, Gullamondegi O, Hedrick JH, Schwab CW. The evolving role of interventional radiology in trauma care. J Trauma. 2005;59(1):102-104.